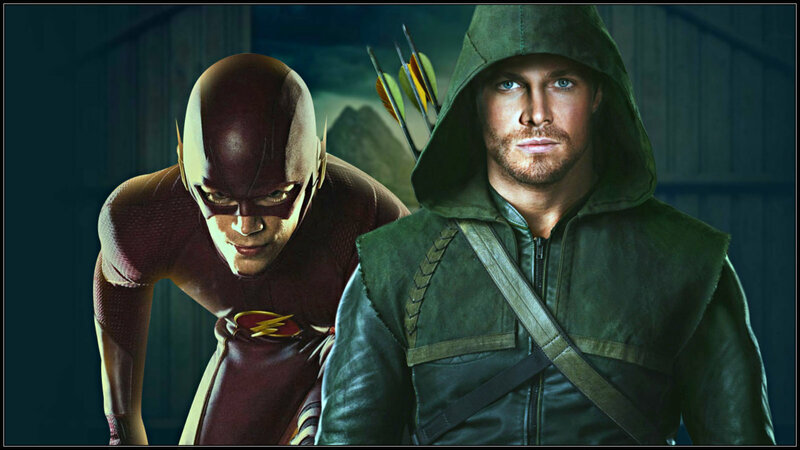 The Flash and Arrow crossover. . HD Wallpaper and background images in the The Flash (CW) club tagged: photo the flash barry allen grant gustin arrow. This The Flash (CW) wallpaper might contain signe, affiche, texte, tableau noir, tableau, and affiches.